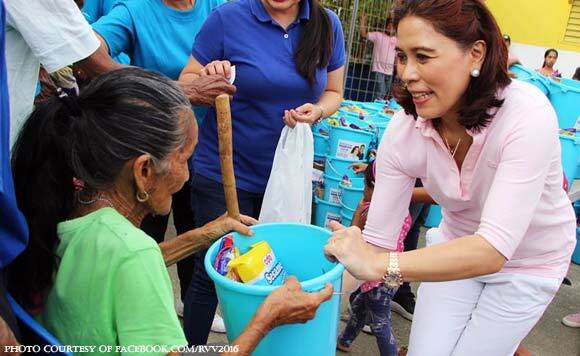 Nueva Ecija 3rd District Representative Rosanna “Ria” Vergara has begun her family’s traditional Christmas gift giving to her constituents. Vergara’s Facebook page said that the first recipients were residents in Barangays Pinamalisan, Cuyapa, Sawmill, Bantug, Camachile Macasandal, South Poblacion, and North Poblacion in Gabaldon municipality. The launch for this year’s traditional Christmas gift-giving by the politiko took place on Friday, Nov. 16. “Ang programang Pamaskong Handog nina Representative Ria at Cabanatuan City Mayor Jay Vergara ay nagmula sa personal na pondo ng kanilang pamilya,” the post on the lawmaker’s Facebook page said. Joining the Vergara couple during Friday’s event were 3rd District Board Members Edward Joson and Jojo Matias, Cabanatuan City Vice Mayor EJ Ballesteros Joson, former General Tinio Municipal Mayor Virgilio “Ginto” Bote, and some municipal councilors of Gabaldon. Who’s the real hero for Ria Vergara?